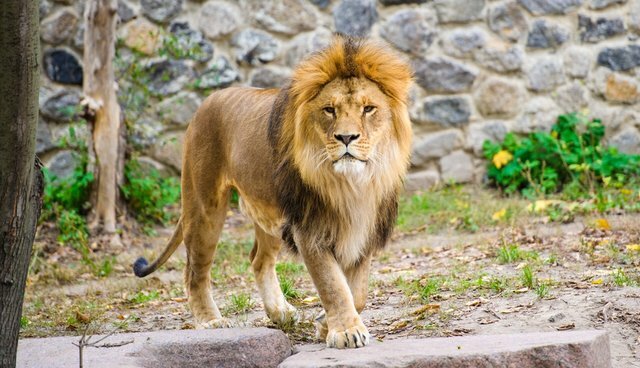 A zoo has killed a resident lion because he was "surplus" - and now it plans to dissect him in front of a group of children. The Odense Zoo in Denmark killed the perfectly healthy lion early this year because it decided it had too many. "Although we are in contact with a lot of other zoos and try to relocate them, we can get a surplus," zookeeper Michael Wallberg Sorensen said, according to The Guardian. The lion's body has been sitting in a freezer ever since. This week, the zoo announced plans to thaw him out and dissect him. It timed the demonstration, which is scheduled for next Thursday, to coincide with fall break so children could come see it. "Be there when one of the zoo's employees dissects a lion," the zoo's website reads, according to a translation provided by The Local. "There will be explanations when the animal is cut up and the heart, lungs and other body parts will be displayed. If there is a wish to closely study body parts, that will be possible and the whole thing will be geared toward dialogue." The zoo will follow this presentation with a dissection of rats. While people are already outraged by the public dismemberment of a lion, the zoo maintains that the spectacle will be educational. Sorensen said the zoo has done it before and that people "find it interesting." The Copenhagen Zoo pulled a similar stunt in 2014 when it killed a healthy giraffe named Marius in front of zoo visitors, publicly autopsied him and then fed his remains to the zoo's lions. Again, the Copenhagen Zoo's reasoning was that it had bred a "surplus" animal, despite offers from two other zoos to rehome him. The zoo faced widespread international condemnation, but largely remained deaf to it. A month later, it slaughtered an entire healthy lion family - two adults and two young cubs - so it could bring in a "handsome" new male lion. Those needless deaths, and this one, seem particularly callous in light of growing public concern over lion poaching and canned hunting. But while this lion's gruesome end is particularly public, he's unfortunately not alone. According to a 2014 estimate, European zoos kill between 3,000 and 5,000 healthy animals each year. Of course, not all of them are publicly dissected - a particularly undignified end for this poor lion.